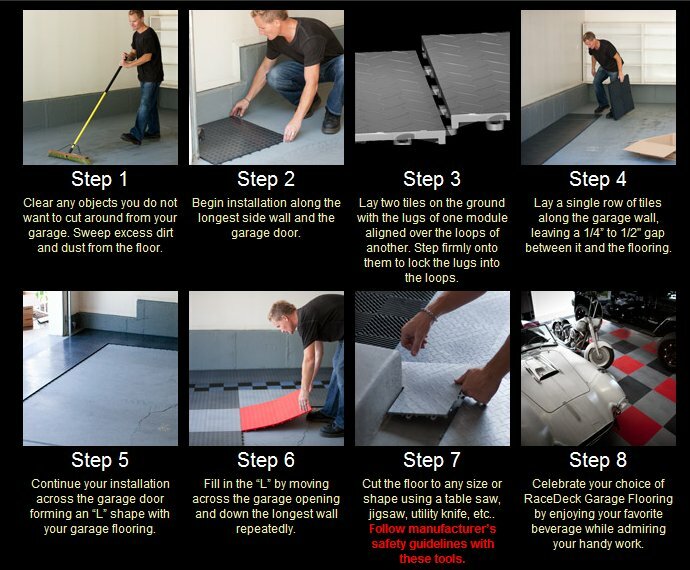 Free-Flow garage flooring is a popular choice with race teams, off-road enthusiasts, and for commercial garages. It’s the ideal choice for wet, muddy, and snowy climates. Our patented self-draining top and channeled understructure allows for maximum air-flow and drainage. Use Free-Flow over a drain, as a cleaning station, or on the entire floor to help keep your shop or garage dry. Free Flow locks together with all of the Race Deck Patterns, mix together for a optimal flooring system.